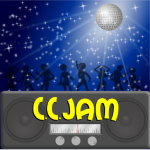 CCJam – Page 2 – Community music podcast – turn up the volume!!! Following an extended holiday, Kevie returns to the show to bring the rocking delights of Lisbon based band Neon Sun to the CCJam listeners. They have a web presence on Jamendo, Bandcamp, Facebook, Spotify, SoundCloud and YouTube. Sadly, at this present time, there does not seem to be a way to support them financially, as their downloads on Bandcamp are free and a search on itunes proved fruitless. Edit: upon further searching their music can be purchased on Amazon. Freshly bronzed from the heat of the Scottish summer sunshine, Kevie stops out of the blazing sun to record episode 46 of CCJam. With the Olympic games in Rio ongoing at the time of recording it is only fitting that the featured artist is Golden Duck Orchestra from Brazil. The band are active on Facebook, Instagram, Twitter and YouTube. They have just released their first self titled album which can be purchased from their CDBaby, Soundcloud and Jamendo. The information about the band was sourced from Moshcam. For episode 41 of CCJam, Dave Lee present to you madelyniris – Maddy Munsell. this album will warm your heart with its honesty about the adventure of youth and love lost.